84 clientes deram a este produto a classificação de 5-estrela. Sobre, 84 não foram escritas críticas ou foi deixado o feedback noutra lingua. 58 clientes deram a este produto a classificação de 4-estrela. 19 clientes deram a este produto a classificação de 3-estrela. 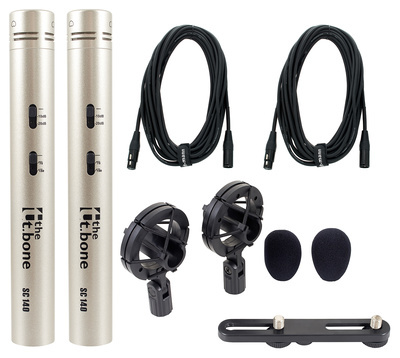 I have been nicely surprised by theses mic's. They were bought for recording (primarily) acoustic guitar. They do a fine job particularly if used x/y as this allows mono without phase problems. 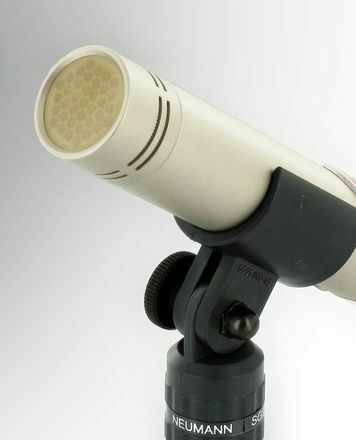 As a spaced pair they sound great but like all other mic's don't mono too well. They seem to catch the top guitar strings in a warm way without that fizzy spiky stuff you can so easily get. The bottom end is warm without boom. I also used them on a full band recording (bass, electric guitar, harmonica, vocals) as overheads on the drums. Again a nice crisp sound that could either be used with lower frequencies rolled-off for cymbals, or as a full range recording. On mandolin they are very good, fiddle a bit bright but may be very good at a little distance in the right room. Not much good for vocals - the large LDC win every time. I haven't tried these on guitar cab but again suspect that there are better options. The mic's feel chunky and of good quality. The clips are a little awkward as they a bit too tight but at least your mic's don't end up on the floor. The clip threads are only plastic a feel as they may easily cross-thread. The same applies to the crossbar which is all plastic including the thread. The roll-off switches are useful but I tend to use the pad on drums only and the HPF on the mixer. All in all worth every penny. I guess you would have to spend quite a bit more to get significantly better. A keeper. I bought these for snare drum duties. They work brilliantly on top and bottom together. Subsequently I have been using them as a stereo room pair in x-y config and they are great. solid build quality, good accessories. They will get a lot of use in general. ID: 241782 © 1996–2019 Thomann GmbH Thomann loves you, because you rock!